I am pleased to confirm that we now have a secure method of communication. I can now report that everything is going to plan and the boy suspects nothing. I will send intelligence as it comes to hand. In the meantime, I can confirm that your two agents are in place outside the boy’s house in Hateno. They are operating under the names of Bolson and Karson – faintly ridiculous I thought, but never mind. I have to say they are very convincing as a pair of useless layabouts, it seems to come naturally to them both. I haven’t yet had a chance to question them but am working on building their confidence in me. 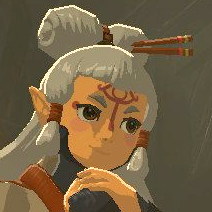 This entry was posted in Letters from Paya and tagged botw, hateno, kakariko, letter, link, paya on February 8, 2019 by Paya.